I have been at UTS since 1991, beginning as an undergraduate, through honours and a PhD to several postdoctoral research and teaching positions. I am currently a lecturer in the School of the Environment, and teach first year as well as experimental design and data analysis. I have been the undergraduate program director for all of our environmental courses since 2013, and welcome any enquiries related to studying environmental science at UTS. My research is focused on the relationship between plants and urban environmental quality, with a current emphasis on several aspects related to green wall technology and urban greening. We have over 15 years experience in horticultural biotechnology, and have been instrumental in broadening our understanding of how plants can contribute to improved air quality in cities. I am director of the Plants and Environmental Quality Research Group at UTS. I am also interested in the development of tertiary education programs, where I am especially interested in the contextualisation and effective integration of generic graduate attributes into science curricula, for which my concurrent work as a teaching academic has been invaluable. A proportion of my research time is involved with experimental design and the analysis of biological data across a diverse range of fields in collaboration with a number of other UTS staff from both biomedical, biotechnology and environmental science backgrounds. I have taught at UTS since 1995 in a very diverse range of fields including experimental design and data analysis, computing, ecology, botany, general, clinical and environmental microbiology (bacteriology, mycology, epidemiology), biochemistry, instrumental analysis, environmental engineering, evolution and first year biology. © 2019, Springer Nature B.V. Atmospheric pollutant phytoremediation technologies, such as potted plants and green walls, have been thoroughly tested in lab-scale experiments for their potential to remove air pollutants. The functional value of these technologies, however, is yet to be adequately assessed in situ, in 'high value' environments, where pollutant removal will provide the greatest occupant health benefits. Air pollution in countries such as China is a significant public health issue, and efficient air pollution control technologies are needed. This work used pilot-scale trials to test the capacity of potted plants, a passive green wall and an active green wall (AGW) to remove particulate matter (PM) and total volatile organic compounds (TVOCs) from a room in a suburban residential house in Sydney, Australia, followed by an assessment of the AGW's potential to remove these pollutants from a classroom in Beijing. In the residential room, compared to potted plants and the passive green wall, the AGW maintained TVOCs at significantly lower concentrations throughout the experimental period (average TVOC concentration 72.5% lower than the control), with a similar trend observed for PM. In the classroom, the AGW reduced the average TVOC concentration by ~ 28% over a 20-min testing period compared to levels with no green wall and a filtered HVAC system in operation. The average ambient PM concentration in the classroom with the HVAC system operating was 101.18 g/m3, which was reduced by 42.6% by the AGW. With further empirical validation, AGWs may be implemented to efficiently clean indoor air through functional reductions in PM and TVOC concentrations. Irga, P, Pettit, T, Irga, R, Paull, N, Douglas, A & Torpy, F 2019, 'Does plant species selection in functional active green walls influence VOC phytoremediation efficiency? ', Environmental Science and Pollution Research. © 2019 Elsevier GmbH Green walls show promise as active bio-filters to improve indoor air quality by removing both gaseous and particulate air pollutants. The current work represents a detailed assessment of airflow through an active green wall module. Airflow distribution through the module, the effect of wetting the substrate, and the effect of introducing a cover to the module's open top face were investigated, with the aim to improve the module's design and achieve more appropriate and effective airflow. Four cases of both planted and unplanted modules under both dry and wet conditions are considered. This work's primary observation is that more air will pass through a typical green wall substrate, and hence become cleansed, when the substrate is saturated wet more than when it is dry. The increase was substantial at approximately 50% more with 14.9 ± 0.2 L/s total air flow rate passing through the wet planted module versus 10 ± 0.2 L/s when dry. Reducing the 15.5 ± 0.75% of airflow passing through the module's open top face was found to be essential to maximize the bio-filtration capacity. Adding a top cover to the module having six 10 mm holes for irrigation decreased the airflow through the top by 6 ± 0.75%, and directed it through the filter increasing the percentage of air flow passing through the front openings from 79 ± 4% to 85 ± 4%. In recent years, research into the efficacy of indoor air biofiltration mechanisms, notably living green walls, has become more prevalent. Whilst green walls are often utilised within the built environment for their biophilic effects, there is little evidence demonstrating the efficacy of active green wall biofiltration for the removal of volatile organic compounds (VOCs) at concentrations found within an interior environment. The current work describes a novel approach to quantifying the VOC removal effectiveness by an active living green wall, which uses a mechanical system to force air through the substrate and plant foliage. After developing a single-pass efficiency protocol to understand the immediate effects of the system, the active green wall was installed into a 30-m3 chamber representative of a single room and presented with the contaminant 2-butanone (methyl ethyl ketone; MEK), a VOC commonly found in interior environments through its use in textile and plastic manufacture. Chamber inlet levels of MEK remained steady at 33.91 ± 0.541 ppbv. Utilising a forced-air system to draw the contaminated air through a green wall based on a soil-less growing medium containing activated carbon, the combined effects of substrate media and botanical component within the biofiltration system showed statistically significant VOC reduction, averaging 57% single-pass removal efficiency over multiple test procedures. These results indicate a high level of VOC removal efficiency for the active green wall biofilter tested and provide evidence that active biofiltration may aid in reducing exposure to VOCs in the indoor environment. a range of environmental parameters known to influence airborne fungi were also used, notably green space density, land cover, altitude, meteorological variables, and other locally determined factors. Statistical models previously developed from the combined meteorological and environmental variable data were used to establish spatiotemporal models for airborne fungi across the study area for each season. modeled for buildings with both natural and mechanical ventilation. As accurate manual assessment of the aeromycota is labor, time, and cost intensive, the current findings should assist in the prediction of fungal aerosols in both urban and indoor environments. Additionally, understanding the indoor microbiome has great importance for the health and well-being of the occupants concerned. Gene therapy is one treatment that may ultimately cure type 1 diabetes. We have previously shown that the introduction of furin-cleavable human insulin (INS-FUR) to the livers in several animal models of diabetes resulted in the reversal of diabetes and partial pancreatic transdifferentiation of liver cells. The present study investigated whether streptozotocin-diabetes could be reversed in FRG mice in which chimeric mouse-human livers can readily be established and, in addition, whether pancreatic transdifferentiation occurred in the engrafted human hepatocytes.Engraftment of human hepatocytes was confirmed by measuring human albumin levels. Following delivery of the empty vector or the INS-FUR vector to diabetic FRG mice, mice were monitored for weight and blood glucose levels. Intraperitoneal glucose tolerance tests (IPGTTs) were performed. Expression levels of pancreatic hormones and transcription factors were determined by a reverse transcriptase-polymerase chain reaction (RT-PCR) and immunohistochemistry.Diabetes was reversed for a period of 60 days (experimental endpoint) after transduction with INS-FUR. IPGTTs of the insulin-transduced animals were not significantly different from nondiabetic animals. Immunofluorescence microscopy revealed the expression of human albumin and insulin in transduced liver samples. Quantitative RT-PCR showed expression of human and mouse endocrine hormones and -cell transcription factors, indicating partial pancreatic transdifferentiation of mouse and human hepatocytes. Nonfasting human C-peptide levels were significantly higher than mouse levels, suggesting that transdifferentiated human hepatocytes made a significant contribution to the reversal of diabetes.These data show that human hepatocytes can be induced to undergo partial pancreatic transdifferentiation in vivo, indicating that the technology holds promise for the treatment of type 1 diabetes. Poor indoor air quality is a health problem of escalating magnitude, as communities become increasingly urbanised and people's behaviours change, lending to lives spent almost exclusively in indoor environments. The accumulation of, and continued exposure to, indoor air pollution has been shown to result in detrimental health outcomes. Particulate matter penetrating into the building, volatile organic compounds (VOCs) outgassing from synthetic materials and carbon dioxide from human respiration are the main contributors to these indoor air quality concerns. Whilst a range of physiochemical methods have been developed to remove contaminants from indoor air, all methods have high maintenance costs. Despite many years of study and substantial market demand, a well evidenced procedure for indoor air bioremediation for all applications is yet to be developed. This review presents the main aspects of using horticultural biotechnological tools for improving indoor air quality, and explores the history of the technology, from the humble potted plant through to active botanical biofiltration. Regarding the procedure of air purification by potted plants, many researchers and decades of work have confirmed that the plants remove CO2 through photosynthesis, degrade VOCs through the metabolic action of rhizospheric microbes, and can sequester particulate matter through a range of physical mechanisms. These benefits notwithstanding, there are practical barriers reducing the value of potted plants as standalone air cleaning devices. Recent technological advancements have led to the development of active botanical biofilters, or functional green walls, which are becoming increasingly efficient and have the potential for the functional mitigation of indoor air pollutant concentrations. Fungi are undoubtedly important for ecosystem functioning; however, they have been omitted or given scant attention in most biodiversity policy documents, management plans, and formal conservation schedules throughout the world. This oversight may be due to a general lack of awareness in the scientific community and compounded by a scarcity of mycology-associated curricula at the tertiary level and a lack of mycologists in research institutions. Although molecular techniques advance the systematic cataloging of fungi and facilitate insights into fungal communities, the scarcity of professional mycologists in the environmental sciences hampers conservation efforts. Conversely, citizen science initiatives are making significant contributions to the mycology discipline by increasing awareness and extending the scope of fungal surveys. Future research by professional and amateur mycologists into the distribution of fungi and their function in ecosystems will help identify wider and more effective conservation goals. Poor air quality is an emerging world-wide problem, with most urban air pollutants arising from vehicular emissions. As such, localized high pollution environments, such as traffic tunnels pose a significant health risk. Phytoremediation, including the use of active (ventilated) green walls or botanical biofilters, is gaining recognition as a potentially effective method for air pollution control. Research to date has tested the capacity of these systems to remove low levels of pollutants from indoor environments. If botanical biofilters are to be used in highly polluted environments, the plants used in these systems must be resilient, however, this idea has received minimal research. Thus, testing was conducted to assess the hardiness of the vegetated component of a botanical biofilter to simulated street level air pollutant exposure. A range of morphological, physiological, and biochemical tests were conducted on 8 common green wall plant species prior to and post 5-week exposure to highly concentrated diesel fuel combustion effluent; as a pilot study to investigate viability in in situ conditions. The results indicated that species within the fig family were the most tolerant species of those assessed. It is likely that species within the fig family can withstand enhanced air pollutant conditions, potentially a result of its leaf morphology and physiology. Other species tested were all moderately tolerant to the pollution treatment. We conclude that most common green wall plant species have the capacity to withstand high pollutant environments, however, extended experimentation is needed to rule out potential long term effects along with potential decreases in filter efficiency from accumulative effects on the substrate. Indoor air quality has become a growing concern due to the increasing proportion of time people spend indoors, combined with reduced building ventilation rates resulting from an increasing awareness of building energy use. It has been well established that potted-plants can help to phytoremediate a diverse range of indoor air pollutants. In particular, a substantial body of literature has demonstrated the ability of the potted-plant system to remove volatile organic compounds (VOCs) from indoor air. These findings have largely originated from laboratory scale chamber experiments, with several studies drawing different conclusions regarding the primary VOC removal mechanism, and removal efficiencies. Advancements in indoor air phytoremediation technology, notably active botanical biofilters, can more effectively reduce the concentrations of multiple indoor air pollutants through the action of active airflow through a plant growing medium, along with vertically aligned plants which achieve a high leaf area density per unit of floor space. Despite variable system designs, systems available have clear potential to assist or replace existing mechanical ventilation systems for indoor air pollutant removal. Further research is needed to develop, test and confirm their effectiveness and safety before they can be functionally integrated in the broader built environment. The current article reviews the current state of active air phytoremediation technology, discusses the available botanical biofiltration systems, and identifies areas in need of development. Functional green walls are gaining attention due to their air cleaning abilities, however the air cleaning capacity of these systems may be improved through substrate modification. This experiment investigated the capacity of several green wall media to filter a range of air pollutants. Media, consisting of differently sized coconut husk-based substrates, and with different ratios of activated carbon were evaluated through the use of scaled down model 'cassettes'. Tests were conducted assessing each substrate's ability to filter particulate matter, benzene, ethyl acetate and ambient total VOCs. While the particle size of coconut husk did not influence removal efficiency, the addition of activated carbon to coconut husk media improved the removal efficiency for all gaseous pollutants. Activated carbon as a medium component, however, inhibited the removal efficiency of particulate matter. Once the substrate concentration of activated carbon approached 50%, its gas remediation capacity became asymptotic, suggesting that a 50:50 composite medium provided the best VOC removal. In full-scale botanical biofilter modules, activated carbon-based substrates increased benzene removal, yet decreased particulate matter removal despite the addition of plants. The findings suggest that medium design should be target pollutant dependent, while further work is needed to establish plant viability in activated carbon-based media. Exposure to indoor air pollution is an emerging world-wide problem, with growing evidence that it is a major cause of morbidity worldwide. Whilst most indoor air pollutants are of outdoor origin, these combine with a range of indoor sourced pollutants that may lead to high pollutant levels indoors. The pollutants of greatest concern are volatile organic compounds (VOCs) and particulate matter (PM), both of which are associated with a range of serious health problems. Whilst current buildings usually use ventilation with outdoor air to remove these pollutants, botanical systems are gaining recognition as an effective alternative. Whilst many years research has shown that traditional potted plants and their substrates are capable of removing VOCs effectively, they are inefficient at removing PM, and are limited in their pollutant removal rates by the need for pollutants to diffuse to the active pollutant removal components of these systems. Active botanical biofiltration, using green wall systems combined with mechanical fans to increase pollutant exposure to the plants and substrate, show greatly increased rates of pollutant removal for both VOCs, PM and also carbon dioxide (CO2). A developing body of research indicates that these systems can outperform existing technologies for indoor air pollutant removal, although further research is required before their use will become widespread. Whilst it is known that plant species selection and substrate characteristics can affect the performance of active botanical systems, optimal characteristics are yet to be identified. Once this research has been completed, it is proposed that active botanical biofiltration will provide a cheap and low energy use alternative to mechanical ventilations systems for the maintenance of indoor environmental quality. © 2016 Springer Science+Business Media DordrechtAlong with the growing requirement to reduce building carbon emissions, a need has arisen to find energy efficient means of improving the quality of indoor air. Indoor plants have been shown to be capable of reducing most air pollutants; however, practical numbers of potted plants will not have the capacity to control many forms of air pollution, especially CO2. Green walls are space-efficient means of increasing the density of indoor plants. We assessed an active green wall for its potential to reduce CO2 in chambers and a test room. Chlorophytum comosum and Epipremnum aureum were both effective cultivars for CO2 removal at light densities greater than 50 mol m2 s1. Substrate ventilation increased the rate of CO2 draw down from chambers, possibly due to increased leaf gas exchange rates. Green walls were then tested in a 15.65-m3 sealed simulation room, allowing the calculation of clean air delivery rate (CADR) and air changes per hour (ACH) equivalents based on CO2 draw down. Rates of CO2 draw down were modest under typical brightly lit indoor conditions (50 mol m2 s1); however, when light intensity was increased to relatively bright levels, similar to indoor conditions next to a window or with the addition of supplementary lighting (250 mol m2 s1), a 1-m2 green wall was capable of significant quantifiable reductions of high CO2 concentrations within a sealed room environment. Extrapolating these findings indicates that a 5-m2 green wall containing C. comosum could balance the respiratory emissions of a full-time occupant. Osmoregulation is a key physiological function, critical for homeostasis. The basic physiological mechanisms of osmoregulation are thought to be well established. However, through a series of experiments exposing the freshwater mayfly nymph Austrophlebioides pusillus (Ephemeroptera) to increasing salinities, we present research that challenges the extent of current understanding of the relationship between osmoregulation and mortality. A. pusillus had modelled 96h LC10, LC50 and LC99 of 2.4, 4.8 and 10gl-1 added synthetic marine salt (SMS), respectively. They were strong osmoregulators. At aquarium water osmolality of 256±3.12mmolkg-1 (±s.e. ; equivalent to 10gl-1 added SMS), the haemolymph osmolality of A. pusillus was a much higher 401±4.18mmolkg-1 (±s.e.). The osmoregulatory capacity of A. pusillus did not break down, even at the salinity corresponding to their LC99, thus their mortality at this concentration is due to factors other than increased internal osmotic pressure. No freshwater invertebrate has been previously reported as suffering mortality from rises in salinity that are well below the iso-osmotic point. Recently, studies have reported reduced abundance/richness of Ephemeroptera with slightly elevated salinity. Given that salinization is an increasing global threat to freshwaters, there is an urgent need for studies into the osmophysiology of the Ephemeroptera to determine if their loss at locations with slightly elevated salinity is a direct result of external salinity or other, possibly physiological, causes. © 2017 Elsevier GmbH Green roofs and green walls are gaining popularity as a means of mitigating a range of environmental impacts associated with urbanisation. Although this technology has been widely implemented in some parts of the world, uptake within Australia has been slow. This might be attributed to a range of factors, including a lack of awareness; a scarcity of urban green infrastructure policies; a lack of examples to give urban designers confidence in the technology; and perhaps also a limited number of professionals capable of installing green infrastructure systems. This paper researches the distribution of green wall and green roof projects in urban Australia, and the possible influence of local government policies and guidelines that have been designed to promote the increase of green infrastructure in Australia's cities. Differences were observed among project distributions and frequency, both within and between cities. In addition, councils that offered policy instruments and guidance tended to have more green wall and green roof projects than those which have no such policies in place. Compared to successful examples seen internationally, further policy implementation in Australia could increase the frequency of green infrastructure projects, indicating that governmental influence may play a substantial role in encouraging green infrastructure installation. © 2017 Elsevier Ltd Indoor air quality has become a growing concern as people are spending more time indoors, combined with the construction of highly sealed buildings that promote thermal efficiency. Particulate matter (PM) is a common indoor air pollutant, with exposure to high concentrations associated with several detrimental health outcomes. Active botanical biofilters or functional green walls are becoming increasingly efficient and have the potential to mitigate high suspended PM concentrations. These systems, however, require further development before they become competitive with industry standard in-room air filters. Whilst the plant growth substrate in active biofilters can act as a filter medium, it was previously not known whether the plant component of these systems played a function in PM filtration. This study thus examines the influence of the botanical component on active green wall PM single pass removal efficiency (SPRE), with a focus on evaluating the air filtration features of different plant species in green wall modules. All tested botanical biofilters outperformed biofilters that consisted only of substrate. Green walls using different plant species had different single pass removal efficiencies, with fern species recording the highest removal efficiencies across all measured particle sizes (Nephrolepis exaltata bostoniensis SPRE for PM 0.3-0.5 and PM 5-10 = 45.78% and 92.46% respectively). Higher removal efficiencies were associated with increased pressure drop across the biofilter. An assessment of plant morphological data suggested that the root structure of the plants strongly influenced removal efficiency. These findings demonstrate the potential to enhance active botanical biofiltration technology with appropriate plant species selection. © 2015 Springer Science+Business Media Dordrecht A comprehensive survey of airborne fungi has been lacking for the Sydney region. This study determined the diversity and abundance of outdoor airborne fungal concentrations in urban Sydney. Monthly air samples were taken from 11 sites in central Sydney, and culturable fungi identified and quantified. The genus Cladosporium was the most frequently isolated fungal genus, with a frequency of 78 % and a mean density of 335 CFU m3. The next most frequently encountered genus was Alternaria, occurring in 53 % of samples with a mean of 124 CFU m3. Other frequently identified fungi, in decreasing occurrence, were as follows: Penicillium, Fusarium, Epicoccum, Phoma, Acremonium and Aureobasidium. Additionally, seasonal and spatial trends of airborne fungi were assessed, with increases in total culturable fungal concentrations experienced in the summer months. The correspondence between a range of key environmental variables and the phenology of airborne fungal propagules was also examined, with temperature, wind speed and proximal greenspace having the largest influence on fungal propagule density. If the greenspace was comprised of grass, stronger associations with fungal behaviour were observed. Many street trees in urban areas are deciduous and drop leaves during autumn. These leaves are a potential growing substrate for fungi, which when aerosolized and inhaled, can lead to allergy along with more serious diseases. This investigation assessed the potential contribution of fallen leaves to the diversity of airborne fungal propagules during autumn. The senescent leaves of five deciduous tree species prevalent in urban environments were subject to a manipulative experiment in which their phyllospheric fungi were aerosolized, cultured and identified. Aerosolized fungi were compared with fungi detected from direct observation of the phyllosphere. Thirty-nine fungal genera were identified across the plant species sampled, of which twenty-eight were present in corresponding air samples. Significant differences were observed amongst the fungal genera growing on the leaves of the different trees, however few differences were found in the composition of fungal spores that were aerosolized. The dominant genera that were aerosolized were: Penicillium, Cladosporium, Alternaria, Chaetomium, Botrytis and Trichothecium. Some of these fungi are known to produce allergy and other symptoms in humans. As these fungal genera have been commonly identified in autumn air samples in other studies, it is likely that the phyllospheric fungi present on deciduating leaves contribute to the aeromycota of urban areas. Research over the last three decades has shown that indoor plants can reduce most types of urban air pollutants, however there has been limited investigation of their capacity to mitigate elevated levels of CO2. This study profiled the CO2 removal potential of eight common indoor plant species, acclimatised to both indoor and glasshouse lighting levels, to develop baseline data to facilitate the development of indoor plant installations to improve indoor air quality by reducing excess CO2 concentrations. The results indicate that, with the appropriate choice of indoor plant species and a targeted increase in plant specific lighting, plantscape installations could be developed to remove a proportion of indoor CO2. Further horticultural research and development will be required to develop optimum systems for such installations, which could potentially reduce the load on ventilation systems. Objective Carnosine has been shown to modulate triglyceride and glycation levels in cell and animal systems. In this study we investigated whether prolonged supplementation with carnosine inhibits atherosclerosis and markers of lesion stability in hyperglycaemic and hyperlipidaemic mice. Methods Streptozotocin-induced diabetic apo E-/- mice were maintained for 20 weeks, post-induction of diabetes. Half of the animals received carnosine (2 g/L) in their drinking water. Diabetes was confirmed by significant increases in blood glucose and glycated haemoglobin, plasma triglyceride and total cholesterol levels, brachiocephalic artery and aortic sinus plaque area; and lower body mass. Results Prolonged carnosine supplementation resulted in a significant (~20-fold) increase in plasma carnosine levels, and a significant (~23%) lowering of triglyceride levels in the carnosine-supplemented groups regardless of glycaemic status. Supplementation did not affect glycaemic status, blood cholesterol levels or loss of body mass. In the diabetic mice, carnosine supplementation did not diminish measured plaque area, but reduced the area of plaque occupied by extracellular lipid (~60%) and increased both macrophage numbers (~70%) and plaque collagen content (~50%). The area occupied by a-actin-positive smooth muscle cells was not significantly increased. Conclusions These data indicate that in a well-established model of diabetes-associated atherosclerosis, prolonged carnosine supplementation enhances plasma levels, and has novel and significant effects on atherosclerotic lesion lipid, collagen and macrophage levels. These data are consistent with greater lesion stability, a key goal in treatment of existing cardiovascular disease. Carnosine supplementation may therefore be of benefit in lowering triglyceride levels and suppressing plaque instability in diabetes-associated atherosclerosis. The indoor plant, Syngonium podophyllum, grown in both conventional potting mix and hydroculture, was investigated for its capacity to reduce two components of indoor air pollution; volatile organic compounds (VOCs) and CO2. It was found that, with a moderate increase in indoor light intensity, this species removed significant amounts of CO2 from test chambers, removing up to 61% 2.2 of 1000 ppmv over a 40 min period. It was also found that the hydroculture growth medium facilitated increased CO2 removal over potting mix. The VOC removing potential of hydroculture plants was also demonstrated. Whilst the rate of VOC (benzene) removal was slightly lower for hydroculture-grown plants than those grown in potting mix, both removed 25 ppmv from the test chambers within 7 days. The effect of benzene on the community level physiological profiles of rhizospheric bacteria was also assessed. There was less variability in the carbon substrate utilisation profile of the bacterial community from the rhizosphere of hydroculture plants compared to potting mix, however the species present encompassed at least those involved with VOC removal. Overall, we propose that plants grown in hydroculture can simultaneously deplete CO2 and VOCs, and thus may have potential for improving indoor air quality. Over 900 volatile organic compounds (VOCs) have been detected in indoor air, where they cause acute and chronic health problems to building occupants. Potted-plants can signifi cantly reduce VOC levels in indoor air, the root-zone bacteria of the potting mix effecting most of the VOC biodegradation. In this study, a baseline community level physiological profi le (CLPP) was established for the potting mix bacteria of the indoor plant species, Spathiphyllum wallisii `Petite, using Biolog EcoPlates, to provide information on the functional abilities of this community. Changes in the CLPP resulting from benzene exposure were then determined and following the identifi cation of the carbon sources associated with changes in the CLPP, biostimulant solutions were formulated and applied to fresh potted-plant specimens. Biostimulation of benzene removal was observed, with increases in removal rates of about 15%, providing proof-of-concept for the biostimulation of this process. The findings further elucidate the mechanisms of bacterial activity associated with removal of indoor airborne benzene, and could be applied to increase VOC biodegradation rates, augmenting the uses of indoor plants in improving building environmental quality. Do indoor plants contribute to the aeromycota in city buildings? The diversity of groundwater mycobiota remains relatively unknown and unchartered. As a first description of the fungal diversity in Australian aquifers we explored the distribution, abundance and diversity of fungal assemblages in samples from an alluvial (Bylong) and two sandy (Tomago; Botany Sands) unconfined aquifers in coastal catchments of NSW, Australia. A total of 89 strains were isolated with 54 Eumycotan taxa identified. The Botany Sands aquifer, with a history of industrial chlorinated hydrocarbon contamination along a hydraulic gradient, yielded the highest richness with 23 identifiable taxa, followed by Tomago with 17 and Bylong with 14. Despite differences in geology and land use, the aquifers shared similarities in their fungal assemblages with Penicillium, Rhodotorula, Paecilomyces and Cladosporium spp. common to all sites. Fungal assemblages were notably similar between the Bylong and Tomago samples and differed from the Botany samples in composition and heterogeneity. Taxa appeared to cluster into two main groups according to their association with environmental conditions; with the taxa common to the Botany aquifer correlating strongly with higher dissolved oxygen concentrations. The diversity and spatial heterogeneity of groundwater mycobiota appeared to be influenced by both anthropogenic contaminants and associated environmental variables. Based on the criteria of ubiquity, abundance and potential sensitivity to contamination, Penicillium and Rhodotorula spp. might be fitting taxa for monitoring groundwater quality. DNA profiling evidence presented in court should be accompanied by a reliable estimate of its evidential weight. In calculating such statistics, allele frequencies from commonly employed autosomal microsatellite loci are required. These allele frequencies should be collected at a level that appropriately represents the genetic diversity that exists in the population. Typically this occurs at broadly defined bio-geographic categories, such as Caucasian or Asian. Datasets are commonly administered at the jurisdictional level. This paper focuses on Australian jurisdictions and assesses whether this current practice is appropriate for Aboriginal Australian and Caucasian populations alike. In keeping with other studies we observe negligible differences between Caucasian populations within Australia when segregated geographically. However segregation of Aboriginal Australian population data along contemporary State and Territory lines appears to mask the diversity that exists within this subpopulation. For this reason datasets collated along more traditional lines may be more appropriate, particularly to distinguish the most genetically differentiated populations residing in the north of the continent. Wood, R., Burchett, M., Alquezar, R., Orwell, R.L., Tarran, J. & Torpy, F.R. 2006, 'The potted-plant microcosm substantially reduces indoor air VOC pollution: 1. Office field-study', Water, Air, and Soil Pollution, vol. 175, no. 1-4, pp. 163-180. Volatile organic compounds (VOCs) are major contaminants of indoor air, with concentrations often several times higher than outdoors. They are recognized as causative agents of "building-related illness" or "sick-building syndrome". Our previous laboratory test-chamber studies have shown that the potted-plant/root-zone microorganism microcosm can eliminate high concentrations of air-borne VOCs within 24 hours, once the removal response has been induced by an initial dose. However, the effectiveness of the potted-plant microcosm in 'real-world' indoor spaces has never previously been tested experimentally. This paper reports the results of a field-study on the effects of potted-plant presence on total VOC (TVOC) levels, measured in 60 offices (12 per treatment), over two 5-9 week periods, using three planting regimes, with two 'international indoor-plant' species. Fourteen VOCs were identified in the office air. When TVOC loads in reference offices rose above 100 ppb, large reductions, of from 50 to 75% (to <100 ppb), were found in planted offices, under all planting regimes The results indicate that air-borne TVOC levels above a threshold of about 100 ppb stimulate the graded induction of an efficient metabolic VOC-removal mechanism in the microcosm. Follow-up laboratory dose-response experiments, reported in the following paper, confirm the graded induction response, over a wide range of VOC concentrations. The findings together demonstrate that potted-plants can provide an efficient, self-regulating, low-cost, sustainable, bioremediation system for indoor air pollution, which can effectively complement engineering measures to reduce indoor air pollution, and hence improve human wellbeing and productivity. Munro, UH & Torpy, FR 2006, 'Daytime behaviour of the Australian grey-headed flying fox, Pteropus poliocephalus (Pteropodidae: Megachiroptera), at an autumn/winter roost', Australian Mammalogy, vol. 28, pp. 7-14. Indoor air-borne loads of volatile organic compounds (VOCs) are usually significantly higher than those outdoors, and chronic exposures can cause health problems. Our previous laboratory studies have shown that the potted-plant microcosm, induced by an initial dose, can eliminate high air-borne VOC concentrations, the primary removal agents being potting-mix microorganisms, selected and maintained in the plant/root-zone microcosm. Our office field-study, reported in the preceding paper, showed that, when total VOC (TVOC) loads in reference offices (0 plants) rose above about 100 ppb, levels were generally reduced by up to 75% (to < 100 ppb) in offices with any one of three planting regimes. The results indicate the induction of the VOC removal mechanism at TVOC levels above a threshold of about 100 ppb. The aims of this laboratory dose-response study were to explore and analyse this response. Over from 5 to 9 days, doses of 0.2, 1.0, 10 and 100 ppm toluene and m-xylene were applied and replenished, singly and as mixtures, to potted-plants of the same two species used in the office study. The results confirmed the induction of the VOC removal response at the lowest test dosage, i.e in the middle of the TVOC range found in the offices, and showed that, with subsequent dosage increments, further stepwise induction occurred, with rate increases of several orders of magnitude. At each dosage, with induction, VOC concentrations could be reduced to below GC detection limits (< 20 ppb) within 24 h. A synergistic interaction was found with the binary mixtures, toluene accelerating m-xylene removal, at least at lower dosages. The results of these two studies together demonstrate that the potted-plant microcosm can provide an effective, self-regulating, sustainable bioremediation or phytoremediation system for VOC pollution in indoor air. The grey-headed flying fox (Pteropus policephalus Temminck) is a threatened large fruit bat endemic to Australia. It roosts in large colonies in rainforest patches, mangroves, open forest, riparian woodland and, as native habitat is reduced, increasingly in vegetation within urban environments. The general biology, ecology and behaviour of this bat remains largely unknown, which makes it difficult to effectively monitor, protect and manage this species. The current study provides baseline informationn o the daytime behaviour of P. poliocephalus in an autumn.winter roost in urban Sydney, Australia, between April and August 2003. An efficient procedure for the in vitro propagation and cryogenic conservation of Syzygium francissi was developed. The maximum number of shoots per explant was obtained on a Murashige and Skoog (MS) medium supplemented with 4.5 ?M benzyladenine and 0.5 ?M indole-3-butyric acid (IBA). The in vitro-propagated shoots produced roots when transferred to MS medium containing IBA, indold-3-acetic acid, or naphthaleneacetic acid at various concentrations. Rooted microshoots were transferred to a coco-peat, perlite, and vermiculite (1?1?1) mixture, and hardened off under greenhouse conditions. Ninety-five percent of rooted shoots successfully acclimatized in the greenhouse. Shoot tips excised from in vitro-grown plants were successfully cryostoraged at -196°C by the encapsulation-dehydration method. A preculture of formed beads on MS medium containing 0.75 M sucrose for 1 d, followed by 6 h dehydration (20% moisture content) led to the highest survival rate after cryostorage for 1h. This method is a promising technique for in vitro propagation and cryopreservation of shoot tips from in vitro-grown plantlets of S. francissi germplasm. Lategan, M.J., Torpy, F.R. & Gibson, L.F. 2004, 'Control of saprolegniosis in the eel, Anguilla australis Richardson, by Aeromonas media strain A199', Aquaculture, vol. 240, pp. 19-27. Lategan, M.J., Torpy, F.R. & Gibson, L.F. 2004, 'Biocontrol of saprolegniosis in silver perch, Bidyanus bidyanus (Mitchell) by Aeromonas media strain A199', Aquaculture, vol. 235, pp. 71-88. The potential of Aeromonas media strain UTS A199 as a candidate for the biocontrol of winter saprolegniosis was tested during a winter outbreak in a farm and in a laboratory challenge trial on silver perch, Bidyanus bidyanus Mitchell. The dialy addition of A199 to tanks during the winter outbreak of saprolegniosis resulted in a significant increase (p<0.05) in fish survival. Close monitoring of fish revealed that A199 treatments halted the progress o the disease by inhibition of hyphal growth within lesions and cyst germination. In a laboratory-based challenge of perch by exposure to highnumbers of cysts and zoospores of Saprolegnia parasitica, the presence of A199 in the tank water delayed the onset of the disease but, ultimately could not protect the fish from the disease under these conditions. Wood, R, Orwell, RL, Tarran, J, Torpy, FR & Burchett, M 2002, 'Potted-plant / growth media interactions and capacities for removal of volatiles from indoor air', Journal of Horticultural Science and Biotechnology, vol. 77, no. 1, pp. 120-129. Human populations are becoming increasingly urbanised and thus distanced, both physically and psychologically, from the sources of their food. Decentralizing food production from remote rural regions to within urban centres will address both the growing sense of disconnect, and the growing costs associated with food transport. This chapter describes the social, environmental and economic aspects of local scale urban food production as well as setting out typical specifications and considerations in respect of bed systems, with a focus on the health and safety, technical, environmental and economic aspects of larger scale food rooftop production. Our empirical observations demonstrate that there is great potential in most cities for the expansion of urban rooftop farming, and that many of the traditional barriers to growing food in cities, such as fears over food safety, can be overcome in virtually all situations. Putting forward an innovative approach to solving current technological problems faced by human society, this book encompasses a holistic way of perceiving the potential of natural systems. Type I diabetes is caused by the autoimmune destruction of pancreatic beta (â) cells . Current treatment requires multiple daily injections of insulin to control blood glucose levels. Tight glucose control lowers, but does not eliminate, the onset of diabetic complications, which greatly reduce the quality and longevity of life for patients. Transplantation of pancreatic tissue as a treatment is restricted by the scarcity of donors and the requirement for lifelong immunosuppression to preserve the graft, which carries adverse side-effects. This is of particular concern as Type 1 diabetes predominantly affects children. Lack of glucose control could be overcome by genetically engineering "an artificial â-cell" that is capable of synthesising, storing and secreting insulin in response to metabolic signals. The donor cell type must be readily accessible and capable of being engineered to synthesise, process, store and secrete insulin under physiological conditions. Abdo, P., Huynh, B.P., Avakian, V., Nguyen, T.T., Gammon, J., Torpy, F.R. & Irga, P.J. 2016, 'Measurement of air flow through a green-wall module', Proceedings of the 20th Australasian Fluid Mechanics Conference, 2016, Perth. Abdo, P.A., Huynh, B.P.H., Avakian, V.A., Nguyen, T.V., Gammon, J.G., Torpy, F.R.T. & Irga, P.J. 2016, 'Measurement of air flow through a green-wall module', 20th Australasian Fluid Mechanics Conference, Perth, Australia. Wood, RA, Orwell, RL, Tarran, J, Torpy, F & Burchett, M 2008, 'Indoor plants: Improving the indoor environment for health, well-being and productivity', PROCEEDINGS OF THE EIGHTH INTERNATIONAL PEOPLE-PLANT SYMPOSIUM ON EXPLORING THERAPEUTIC POWERS OF FLOWERS, GREENERY AND NATURE, pp. 151-156. Tarran, J, Torpy, FR & Burchett, M 2007, 'Use of living pot-plants to cleanse indoor air-research review', Proceedings of the 6th International Conference on Indoor Air Quality, Ventilation & Energy Conservation in Buildings, Tohoku University Press, Japan, pp. 249-256. Urban indoor air quality (IAQ) is an international health issue since city dwellers spend 90% of their time indoors. Research by a number of authors is reviewed here, demonstrating a range of capacities of indoor plants to imporve IAQ and promote occupants wellbeing. Our laboratory studies, wit nice 'indoor plant' species, and our 'field' studies in 60 offices, show that potted plants ca reliably reduce totl volatile organic compound (TVOC) loads, a major class of indoor pollutants, by 75%, to below 100ppb. Theyw ork equally wellw ith or without air-conditioning and in light or dark. An evaluation of these studies is presented, plus novel research shwoing that potted-plants can also remove indoor CO and, sometimes, CO2. The evidence overall cearly shows that the potted-plant microcosm represents an innovative technology for solving indoor air pollution, which can otherwise cause a range of adverse health effects, including building-related illness" This portabe, flexible, attractive, low-cost techology can complement any engineering measures and can be used in any building. To ensure sustainability of the urban environment, satisfying the 'triple bottom line' of environmental, social and economic considerations, indoor plants can be expected to become standard technology for improving IAQ - a vital building installation element. Torpy, F.R. 2007, 'USE OF LIVING POT-PLANTS TO CLEANSE INDOOR AIR RESEARCH REVIEW', Proceedings of Sixth International Conference on Indoor Air Quality, Ventilation & Energy Conservation in Buildings Sustainable Built Environment, Tohoku University Press, Sendai, Japan, pp. 249-256. Urban indoor air quality (IAQ) is an international health issue, since city dwellers spend 90% of their time indoors. Research by a number of authors is reviewed here, demonstrating a range of capacities of indoor plants to improve IAQ and promote occupant wellbeing. Our laboratory studies, with nine `indoor plant species, and our `field studies in 60 offices, show that potted-plants can reliably reduce total volatile organic compound (TVOC) loads, a major class of indoor pollutants, by 75%, to below 100 ppb. They work equally well with or without air-conditioning, and in light or dark. An evaluation of these studies is presented, plus novel research showing that potted-plants can also remove indoor CO and, sometimes, CO2. The evidence overall clearly shows that the potted-plant microcosm represents an innovative technology for solving indoor air pollution, which can otherwise cause a range of adverse health effects, including `building-related illness. This portable, flexible, attractive, low-cost technology can complement any engineering measures and can be used in any building. To ensure sustainability of the urban environment, satisfying the `triple bottom line of environmental, social and economic considerations, indoor plants can be expected to become standard technology for improving IAQ - a vital building installation element. Allotta, A., Messaike, E., Smith, N.F., Torpy, F.R., Sutisno, M. & Sztynda, T. 2006, 'The Human Ear - An Adjunct for Identification', 18th Symposium on the Forensic Sciences, Fremantle, Australia, Fremantle, Australia. Messaike, E., Sutisno, M., Torpy, F.R. & Sztynda, T. 2006, 'Mapping the Human Auricle in Asians Residing in the Sydney Region', 18th Symposium on the Forensic Sciences, Fremantle, Australia March 2006, Fremantle, Australia. Harris, C.J., Torpy, F.R. & Murray, B. 2005, 'Arbuscular Mycorrhizal Colonization Of Plants In Low Nutrient Soils: Are Soil Attributes Important? ', Ecological Society of Australia Conference, The University of Queensland, St Lucia, Brisbane. Torpy, F.R., Vahdat, H., Campbell, S., Woodland, N.B., Gallery, E. & Morris, J.M. 2005, 'Matrix Metalloproteinase Production by Monocytes in Pre-eclampsia', Haematology Society of Australia & New Zealand (HSANZ) Conference, Sydney 2005, Sydney. Messaike, E., Sutisno, M., Torpy, F.R. & Sztynda, T. 2005, 'Ear Biometrics: Mapping the Human Auricle in Asians Residing in the Sydney Region', UTS/RNSH/USYD Scientific Conference, Sydney 2005, Sydney, Australia. Irga, PJ, Paull, NJ, Abdo, P, Huynh, BP, Avakian, V, Nguyen, T & Torpy, F 2017, DEVELOPING THE JUNGLEFY BREATHING WALL FOR ENHANCED INDOOR AIR QUALITY REMEDIATION, Sydney, Australia. Operational parameters of the Junglefy Breathing Wall system were determined and characterised. Data collected included system water loss, pressure drop, air distribution and the system's effect on ambient temperature and relative humidity. Clean air delivery rates were calculated utilising the removal efficiencies. The system produced 25.86¬–28.70 m3/h per module, depending on particle size and airflow rate. A typical Breathing Wall of 10 m2, utilising 40 modules would thus produce up to 12,700 m3/h of particle-free air. Tests were conducted to identify the most appropriate plant species for survival in high pollution environments. All of the plant species tested, which are currently used in commercial applications of the Breathing Wall, recorded moderate air pollutant tolerance, and thus the system using the current plant species could possibly be used in industrial applications. Pollutant effect on air filled porosity of the substrate was negligible, even under extremely high pollutant loads. Air quality tests were conducted at the Lend Lease Head Office, and the efficiency of the first Breathing Wall installation was monitored. The Breathing Wall is successfully reducing ambient particulate matter and carbon dioxide relative to outdoors and other areas throughout the building. Additionally, air pollutants including carbon monoxide, volatile organic compounds and sulphur dioxide were below the detection limit of the equipment being used, indicating excellent indoor environmental quality. The results indicate that the Breathing Wall is working as intended. Torpy, F.R. Horticulture Australia 2011, Indoor Plant Technology for Health and Environmental Sustainability, pp. 1-50, Sydney. Torpy, F.R. Horticulture Australia 2010, Greening the Great Indoors for Human Health and Wellbeing, pp. 1-47, Sydney. Torpy, F.R. 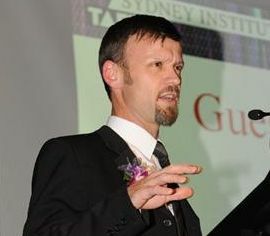 UTS 2008, Renewal of Science Undergraduate Curricula, Sydney. Burchett, M., Wood, R., Orwell, R.L., Tarran, J., Torpy, F.R. & Alquezar, R. Horticulture Australia 2004, Potted-Plants Substantially Improve Office Air Quality, pp. 1-48, Sydney, Australia. Polluted indoor air, air contaminated by Volatile Organic Compounds (VOCs), are a major cause of headaches, nausea, concentration loss and other `building-related illnesses. Previous laboratory research by the Plants and Environmental Quality Group at the University of Technology, Sydney (UTS) has shown that the `pot plant system (plants-and-potting-mix combination) can daily eliminate several times the Australian maximum exposure concentrations of the common VOCs benzene and n-hexane. Torpy, F.R. Horticulture Australia 2004, Potted-Plants Substantially Improve Office Air Quality, pp. 1-48, Sydney. Tarran, J., Orwell, R.L., Burchett, M., Wood, R. & Torpy, F.R. Horticulture Australia 2002, Quantification of the Capacity of Indoor Plants to Remove Volatile Organic Compounds Under Flow-through Conditions, pp. 1-85, Sydney, Australia. Burchett, M., Orwell, R.L., Tarran, J., Wood, R. & Torpy, F.R. 2000, Towards improving the capacity of indoor plants and potting mix components for indoor air pollution reduction, pp. 1-32. Morrison, D.J., Bloomfield, B. & Torpy, F.R. 1996, Fire Management Practices for Plant Communities in the Sydney Region. Does urban greening influence the indoor and outdoor air quality of the City of Sydney?